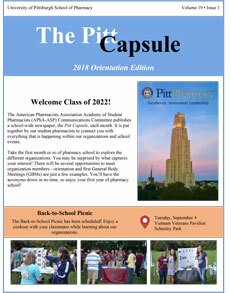 This entry was posted in Pitt Capsule, Publications and tagged PittCapsule on August 23, 2018 by rxadmn. 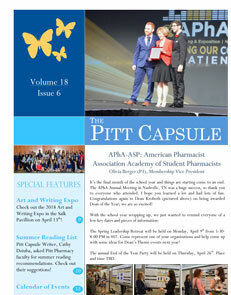 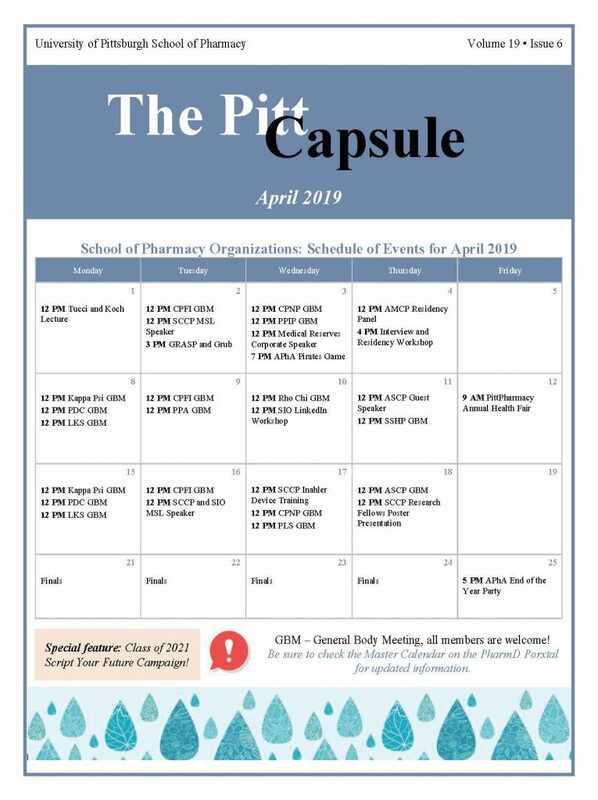 This entry was posted in Pitt Capsule and tagged PittCapsule on April 3, 2018 by rxadmn. 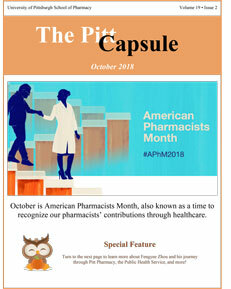 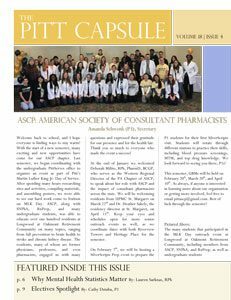 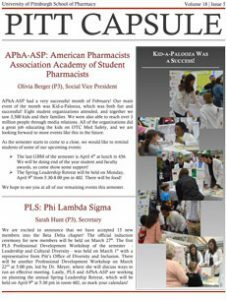 This entry was posted in Pitt Capsule and tagged PittCapsule, PittPharmacy on March 14, 2018 by rxadmn. 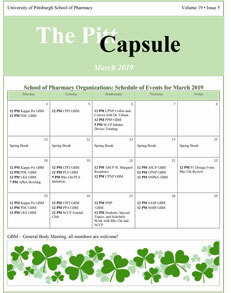 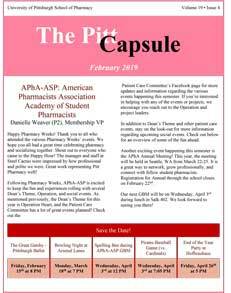 This entry was posted in Pitt Capsule and tagged PittCapsule on February 7, 2018 by rxadmn. 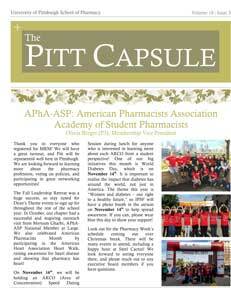 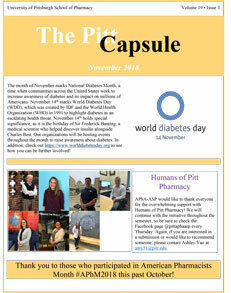 This entry was posted in Pitt Capsule and tagged PittCapsule on November 2, 2017 by rxadmn.